Fly to the remote city of Iquitos. Journey up the river to your lodge and begin your jungle adventure. Take a boat ride along the river spotting for dolphins. Visit an Indian village and learn of their culture. Then, take a walking excursion to the river community of Indiana. Walk the spectacular Canopy Walkway, then visit an Ethnobotanical Garden cultivated by a local shaman who will explain the nature of Amazonian natural healing and the uses of some of the plants. 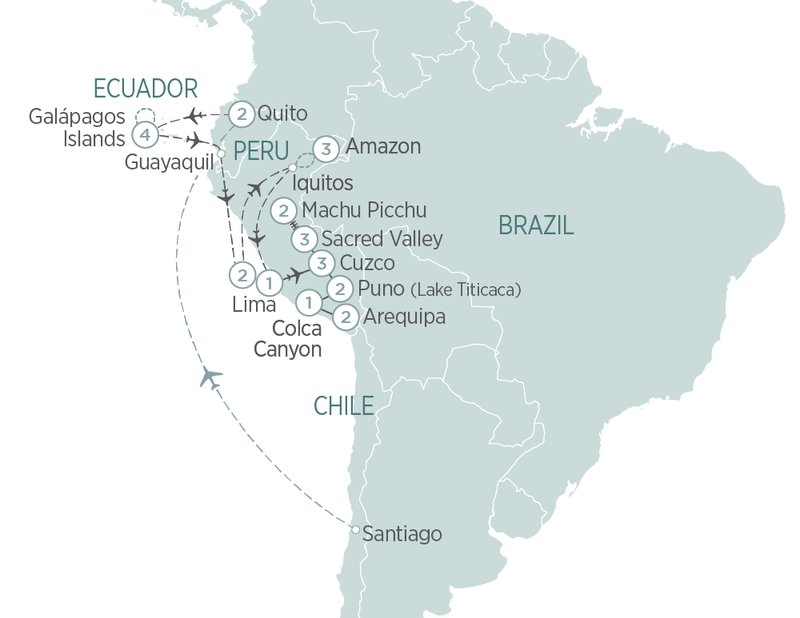 From Lima to Rio de Janeiro, discover the best of South America on a 29 day journey including Machu Picchu, Sacred Valley, Lima, Buenos Aires and more.